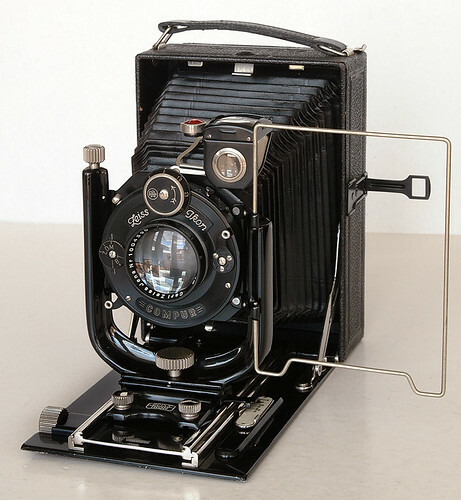 The Zeiss Ikon Maximar comes in 3 different sizes, 6x9cm, 9x12cm and 10x15cm. It was made from 1927 to 1939. 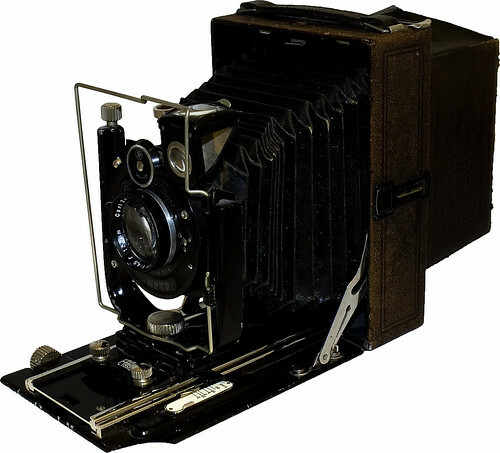 Zeiss Ikon Maximar 207/7, 9x12cm. with Tessar 4.5/135mm in versatile Compur shutter w/ speeds 1sec. - 200th. B. T..
↑ McKeown, James M. and Joan C. McKeown's Price Guide to Antique and Classic Cameras, 12th Edition, 2005-2006. USA, Centennial Photo Service, 2004. ISBN 0-931838-40-1 (hardcover). ISBN 0-931838-41-X (softcover). Page 1055. This page was last edited on 22 March 2019, at 02:12.